This unique wedding photograph is taken with the photographer at the top of the staircase and shooting down the railing. There are many different ways to highlight the staircase at City Hall. You can also show off the pattern on the floor at the bottom of the staircase with this view. 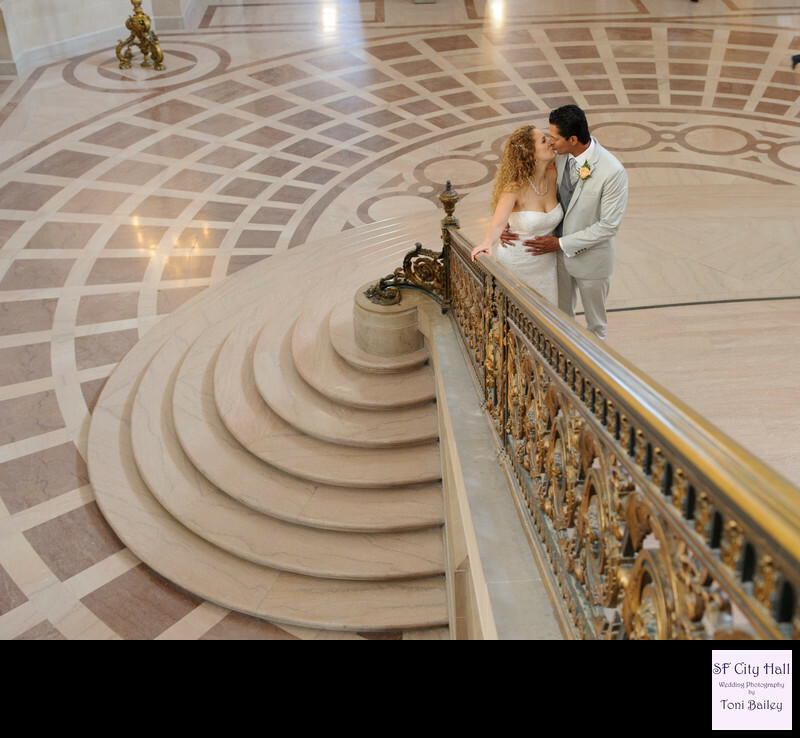 The majority of San Francisco city hall wedding photographers shoot up at the Staircase, we thought it would create some drama by shooting down!